The House and Senate appropriations committees held a public hearing Monday afternoon on next year's state budget. 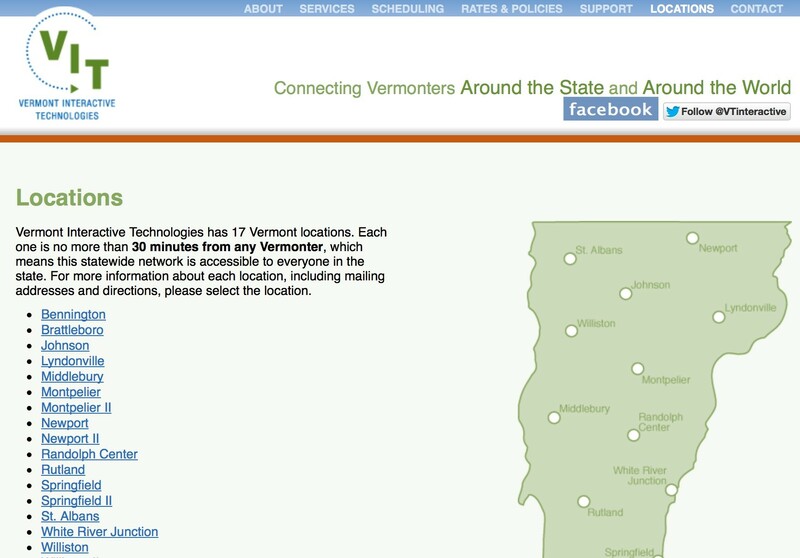 The hearing was hosted by Vermont Interactive Technologies and screened at VIT sites throughout the state, allowing Vermonters to testify remotely from Bennington to Newport. But, ironically, the budget they were discussing could end public support for VIT itself. Last month, Gov. Peter Shumlin proposed cutting state funding to VIT, which until recently was known as Vermont Interactive Television, from $817,341 to zero. In the age of Skype, Apple FaceTime and Google Hangouts, VIT is often regarded as an old-fashioned means of broadcasting public hearings. But Sen. Diane Snelling (R-Chittenden), a member of the Senate Appropriations Committee, noted before the hearing that the proposed budget cut comes without a plan for replacing VIT, which facilitates public participation in every corner of the state. Those who’ve not tuned into VIT recently might also be surprised to learn that one can now follow such hearings online. Monday’s event drew strong turnout at some sites — and none at others. In Newport, Sen. Bobby Starr (D-Essex/Orleans) reported an audience of 20. In White River Junction, nobody showed up.